Whether you arrive in Minsk from the airport, bus or railway station, one of the first things you notice is abundant construction. You will see construction sites almost everywhere. New shiny office buildings of glass and concrete grow in the centre. On the outskirts you’ll mainly see multistory block residential houses. Subsidised loans is one explanation of this boom. A sad truth here is that Minsk seems to be the only place in Belarus where life is really bubbling. Growth of other Belarusian cities is slow and continues thanks to strong urbanisation processes and migration. In rural parts of the country population is decreasing dramatically ‒ up to 4% during 2011, and the state encourages people to move to rural areas by offering free housing in newly constructed buildings. Population growth rate in Belarus has been negative already for many years. But demand for improvement of housing conditions never stops. In Minsk it is, for sure, the greatest. Flats, however, cost no less than in many Western European capitals. And Belarusians with their less than $500 average monthly salary are usually unable to satisfy housing needs independently. That is probably why within the last five years over 60 per cent of new flats were built with state support. Before 2011 subsidised loans were the main form of state support. Those who managed to prove their compliance with special criteria such as being a large or young family, living in a dorm for over than 10 years could get such loans. State support recipients were getting loans for construction of new flats at annual rate of 5% (sometimes even 1%) for the period of up to 40 years. In the meantime, even before the economic crisis of 2011, Belarusian rouble’s inflation varied around 10-12%. Mock marriages, large families for the pure sake of getting loans became an unspoken part of Belarusian reality. Compared to 2006 the official list of people in need of housing conditions’ improvement in 2012 increased by more than 50%. By 2012, however, this state generosity started to crumble. Destructive effects of Belarusian social programmes on its financial situation have always been manifest to those who understand economics basics. Thanks to the 2011 economic crisis the sad consequences became clear even to Belarusian authorities. In June 2011 banks suspended approval of new subsidised loans. Subsidised loans reappeared only in April 2012 after the president cut the list of state support’s addressees more than twice. About 400 families had to say goodbye to their dreams of better housing conditions. Those who managed to benefit from subsidised loans suffer as well. Lukashenka ordered to unmask the lessors of flats acquired thanks to state aid and to take such flats away from them. The society has quickly divided into two parts in relation to the issue. Some people consider the president’s threat to be just: the state should bring the cheaters to responsibility. Others argue that such deprivation would be illegal. In a country with developed rule of law and respect for private property the latter position would probably prevail. Belarusian law does not provide for taking any flat away if it is rented. Consequently, any deprivation on these grounds is impossible. But Belarus is the country where the president rules. If he decides to implement his “just” idea, that will not take a long time. As a result of the need to build many flats in Minsk quickly the absolute majority of new houses are block houses. 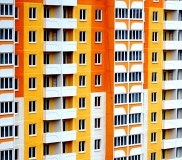 Affordability of block houses’ flats is one of the most important reasons of their popularity. Such buildings usually have no special decoration and are very similar in their design. What is even worse, many are build close to historical buildings in the centre of Minsk depriving it of its old European charm. Many blocks of flats look similar. Getting to a newly built outskirts region reminds Minsk residents of a popular Soviet comedy where one drunk person confused his own flat in Moscow with another flat in Leningrad – the only difference between houses was their addresses. The only novelty about today's block houses is the multitude of their colours. At the same time foreign investors have recently started to finance construction of improved comfort buildings. The advantages of their outer and inner design are obvious and citizens consider them as a desired escape from their accommodations’ uniform. However, because Belarusians still have a rather low purchasing power, realtors forecast that sale of the improved apartments may take up to 7 years. Incubator architecture is common not only for Minsk residential houses. Belarusian agrotowns is another bright example. For sure, it was Lukashenka who introduced the village paradise with urban benefits. Since 2005 about 1500 such towns have grown in the whole country. The cost of each of agrotown amounts up to $1 mln. Some agrotowns appeared from scratch, others developed in the already existing settlements. But irrespectively of their history and geographical location, all agrotowns look the same. As with blocks of flats the main difference is addresses and colours. These new buildings are supposed to attract young professionals to Belarusian villages. If they decide to move to the rural area, they can get one of such houses for free. However, lower salaries and lack of career opportunities in rural areas make young university graduates less enthusiastic about agrotowns. Young Belarusians prefer to struggle for a small flat in a huge block of flats in Minsk rather than get a separate house in rural area for free. 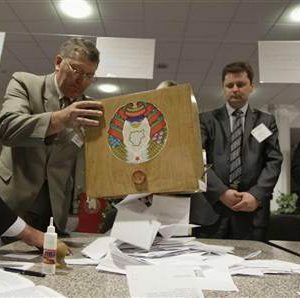 The 2012 parliamentary election in Belarus is over. The Central Elections Committee announced those who will be in the new parliament. A typical MP is a non-partisan male aged between 50 and 60. He made his career in state sector – either working for government institutions or in education, culture, science or health care industries. A labour collective usually nominates such a candidate. To become member of parliament one also needs to have a good record of political loyalty towards the incumbent regime. Needless to say, all MPs are pro-regime. Not a single representative of the opposition secured a seat in the House of Representatives, the lower chamber of the Belarusian parliament. The list of all 109 MPs was announced even before some District Election Commissions managed to finalise the results. Looking at the number of draft laws that the MPs of the previous convocation of the House of Representatives prepared, it is difficult to be under any illusion about the significance of parliament in Belarus. During the four years of their service (2008-2012) the outgoing parliamentarians initiated only 3(!) drafts of their own. All the others came from the Council of Ministers or the Presidential Administration. And the MPs simply passed those drafts without much scrutiny. Therefore, there is, perhaps, little practical point in analysing the composition of the parliament that only exists for ceremonial purposes and is appointed rather than elected. 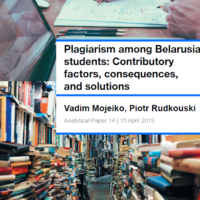 However, such analysis shows what categories of Belarusians can benefit the most from the existing regime and how social lifts work in the country. Further, world history has shown many times that a stable authoritarian system can easily turn into political chaos. If something of this kind happens in Belarus, the role of parliament could suddenly become crucial. A lot will then depend on its individual members. by initiative groups of citizens who have collected at least 1000 signatures in support of their candidate. The major novelty of the 2012 election was the large number of candidates nominated by political parties. At the beginning of this campaign political parties nominated 264 candidates. In 2008 election only 58 were party candidates. This is the result of recent amendments to the Electoral Code: a political party can nominate its candidate in each constituency regardless of whether it maintains a regional office there. The international observers from the Organisation for Security and Co-Operation in Europe welcomed this novelty with great enthusiasm. However, after the announcement of the official election results the enthusiasm vanished. Only 5 political party members made it to parliament. Three of them represent the Communist Party of Belarus, one – the Republican Party of Labour and Justice and one more — the Belarusian Agrarian Party. Thus, despite better nomination opportunities for political parties, the number of partisan MPs in the new convocation is smaller than in the previous one: 5 vs. 7. But like before, the biggest portion of the parliamentarians represent labour collectives. All in all, 70 candidates nominated by these got into the House of Representatives. They will now make up 82.5 per cent of the chamber. It is also interesting that labour collectives nominees had the highest passage percentage among all other categories of nominees. This labour collective phenomenon can be explained in two ways. First, it is a lingering Soviet tradition to promote candidates who are loyal to the authorities and have no affiliation with any political structures. Second, it is an effective tool to control MPs. Once a parliamentarian becomes disloyal the government can quickly make the labour collective withdraw its nomination and initiate a no-confidence vote. From the point of view of age and gender, the new convocation will be dominated by male MPs in their 50s. The share of men in the chamber is roughly 75 per cent and the majority of them are between 50 and 60 years old. The average age of all the winning candidates is about 53 years. Not a single candidate under 30 years made it to the House of Representatives. The youngest MP is now 31. And the oldest is 65 years old. It is also interesting to have a look at the professional backgrounds of the successful candidates. There are two major groups of them. The first one has former state officials who constitute almost 40 per cent. Uladzimir Dzedushkin from a constituency in Orsha is a typical example. Until recently he worked as chairman of Orsha Region Executive Committee. In his 8 years as regional governor he was a loyal and diligent member of the so-called president's "power vertical" and earned a number of state awards. As governor of the region he was responsible for the realisation of the social and economic plans of the government and for keeping the local opposition under firm control. Election/appointment to parliament comes as the biggest reward for all his previous work. The second largest group is made up by the representatives of the spheres of education, culture, science and health. They took almost a quarter of the seats. A representative example here is Dzmitry Shautsou, head of a hospital in Minsk. He made a great career having advanced to the position of the chief doctor of his hospital and becoming the chairperson of the Belarusian Association of Doctors. He later joined the pro-government public association Belaya Rus, which made him ideologically suitable for a parliamentary seat. Belarus got yet another sterile parliament. The interests of numerous groups of citizens are entirely excluded from it. Representatives of political opposition, small and medium size business, civil society organisations and national minorities are not there. It is an ideal legislature for the authoritarian Belarusian government that does not tolerate any dissent in society. However, it is an entirely useless institution for the Belarusian people. Today even the government understands the need to reform and modernise the country. Modernisation requires fresh ideas and innovative policies. Unfortunately, the new 109 rubber-stamp MPs will hardly be of any help in this.